Hi, and welcome to Delightful doggies. Today my article is very close to the heart. Back in 2003 when I was living on a farm, we had two working dogs, Lara and Molly and one older Labrador, Tyler. I saw an ad in the local paper saying”Wanted Distributors for Mighty Mix Dog Food” and I rang the number to inquire about this product as I had never heard of it. After finding out I needed to know, I decided I would become a distributor for Mighty Mix in my area the district where I lived were farms, both Dairy and Sheep so I knew there would be a lot of dogs who might like this product. 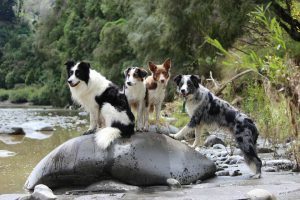 Back in 1992 in the South Island of New Zealand, there was a snow storm and it is known today as the “Deep Snow” Colin and Christine Drummond who own a High Country Station noticed their working dogs were becoming worn out and lacked energy because they were having to work extra hard in the terrible conditions. Their meals consisted of culled mutton and biscuits and Christine saw this food was not helping the dogs so she decided to go into her kitchen and start work at developing something more nutritious and beneficial to her dogs. Christine had studied homeopathy, naturopath and nutrition so she started experimenting with raw dried concentrates and fats – all in one mix. She says “I developed the mix as a free-flow product, which could be stored in the freezer and scooped out by the cup full as required. Within a few days of feeding it to my dogs, they took on a new lease of life – and their coats looked beautiful”. Out of concern for neighboring farmers and their dogs, she decided to make more of this food and give it to the farmers and word soon spread. 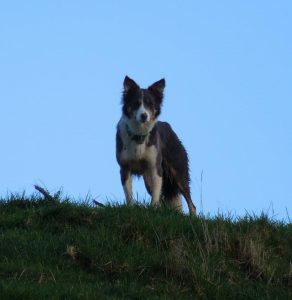 Her phone started ringing from Farmers wanting this great food and this is how Mighty Mix Dog Food began. Kelp, Eggs, Vitamins & Minerals. Please go to Might Mix to read about all the Nutritional Value. All the products are checked regularly to ensure the AAFCO standards are met. Mighty Mix is delivered to your door by distributors and can also be purchased by franchisee stores throughout New Zealand. Mighty Mix Dog Food – what can you buy? Frozen concentrate -is a mixture of natural raw and cooked ingredients, with extra micronutrients, and has no fillers, I used to put some Might Mix Frozen food in each dog bowl and add some warm water. This way the dogs get a kind of gravy as well which they love. Dog Roll – No preservatives, Artificial Colors or preservatives and adds some variety to your dogs’ diet. Large Dog – Flavorsome, nourishing natural biscuits with of course no nasty additives. Family Dog – An ideal biscuit for small to medium dog breeds. 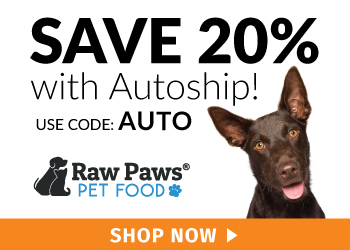 Animal Tonic – This product has green-lipped muscles, and many other nutritional ingredients to help your Dog with Arthritis and is especially good for Aging Dogs. I do hope you go take a look at Might Mix Dog Food. I am not selling this product these days but I have two wee girls who love it so it is definitely worth a try. Also, just letting you know this is not a promotional article and I really wanted you to know about this awesome product.